The expert staff at Legends Honda is here to help pair you with the perfect new or used Honda that you’ll be happy with for years to come. Our Honda dealership in Kansas City, KS, believes in offering you a low-stress car-buying experience. Take your time browsing our selection of new, used and Certified Pre-Owned Honda vehicles, or schedule a service appointment with our one of our technicians. No matter what brought you to our Kansas City Honda dealership, we’re confident that we’ll exceed your expectations! Schedule a test-drive of your favorite Honda model to see how you feel once you’re behind the wheel. At our Honda dealership, you can buy a new Honda Civic, or check out the new Honda Accord. If you’d like an SUV with a capacious cabin, then don’t hesitate to test-drive the new Honda CR-V or Honda Pilot. We also have Honda Ridgeline pickup trucks for those looking for something with impressive capability. If you’re shopping on a budget be sure to check out our selection of used Honda models, as well as Certified Pre-Owned vehicles. We also have pre-owned makes and models of all kinds, so you’re not limited when you come to Legends Honda. Visit us to speak with our Honda financing team about your loan and lease options today! Plus, no matter if you’re shopping new or used, you’ll receive the same first-class experience. This new and innovative approach is unique to Legends Honda and is designed to take stress and confusion out of the car-buying process. This simple three-step process has revamped car shopping as we know it and ensures that you’ll leave our lot with the Honda that’s best for you. If you’ve been driving your Honda for a while and it’s time you come in for some routine maintenance, we can help you there, too. Our state-of-the-art Honda service center has a team of highly skilled technicians that can keep your Honda in top condition. From regular services like oil changes to brake repairs and engine work, our team can truly handle it all. Before you come in, be sure to check out our selection of Honda service specials to see how you can save. And if you’d like to tackle some repairs at home, we’re your go-to resource for any OEM Honda parts you may need. 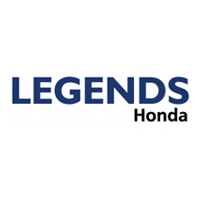 Legends Honda is located at 10050 Parallel Pkwy in Kansas City. This is an easy drive away for folks coming from Overland Park, Olathe and even across the state border from Missouri. Upgrade your daily commutes with a new Honda today, stop in for Honda maintenance and repairs!